Sensitive concept is an undeniable value in feminine hygiene and for the category of sanitary napkins, it was first created worldwide by EveryDay! Through regular consumer research, EveryDay first discerned consumers’ need for protection without irritation, as well as their ever increasing tendency towards materials that ensure not only absorbency but also maximum skin-friendliness. Hence in 1997, the sanitary napkins EveryDay Sensitive were introduced, being the 1st Sensitive napkins worldwide, which as opposed to regular non Sensitive napkins, did not feature a cover made of perforated plastic film but a uniquely skin-friendly, hygienic cover made of fibers. 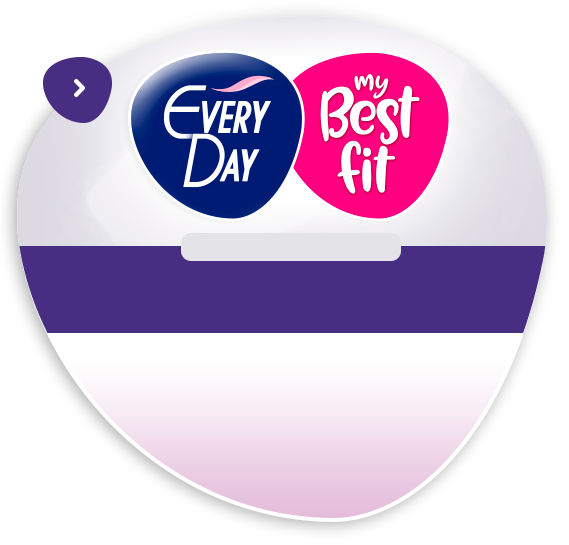 Consumers’ trust in EveryDay Sensitive’s extra hygienic proposal was such that made EveryDay the fastest growing brand within the category of napkins in Greece, enjoying exceptionally high loyalty and leading positions in the Greek market of feminine hygiene. However, a brand that has been inextricably linked with innovation and extra hygienic protection could not remain stagnant! While constantly researching for solutions that combine both enhanced absorbency and enhanced skin-friendliness, we have introduced EveryDay Sensitive with cotton, a unique product that yet again revolutionizes hygienic protection by incorporating in its design not one but two unique innovations! 1st innovation: Hygienic cover, made of fibers that contains cotton! For the 1st time ever, EveryDay incorporates also in the design of sanitary napkins the unique skin-friendly properties of cotton. The new EveryDay Sensitive with cotton sanitary napkins feature a uniquely hygienic cover that contains cotton and allows skin to breathe. Hence, now the No1 in Greece Sensitive sanitary napkins offer unmatched protection, without irritation… with a touch of cotton. 2nd innovation: Center Plus technology for incomparable effectiveness! However, besides enhanced skin-friendliness, the new EveryDay Sensitive with cotton sanitary napkins also offer enhanced effectiveness. Thanks to yet another EveryDay innovation, the revolutionary Center Plus technology, featuring an extended core in the middle of the sanitary napkin, the new EveryDay Sensitive with cotton ensure incredible leakage protection! EveryDay Sensitive with cotton. Unique certified Sensitive protection! Dermatologically tested, in internationally recognized dermatological laboratories both in Greece and abroad (Dermscan Group in France and Dermatest in Germany). Recommended by the Greek Union of Gynaecologists and Obstetricians. The 1st sanitary napkins in Europe with the international Oeko-Tex® Standard 100 certification for absence of harmful substances. Hence, EveryDay once again innovates whilst remaining faithful to its promise for products of excellent quality that meet the ever evolving needs of contemporary consumers and offer not just effectiveness but also maximum skin-friendly properties. Because Sensitive means evolution. Sensitive means EveryDay!